Noni Fruit and A Beautiful New You! Native to Southeast Asia, noni fruit is well known and used by Polynesians and Hawaiians. It is also popular in the Caribbean, South America and the West Indies. Noni fruit and its juice have become well known in the natural heath sector. Either dried and crushed, juiced and bottled, or freeze-dried, noni fruit is being applied as a veritable cure-all, useful in mitigating diabetes, cardiovascular disease, cancer, headaches, arthritis, and degenerative diseases. Studies conducted on noni fruit demonstrate antimicrobial and anti-inflammatory activity, immune enhancement and tumor-inhibition. Noni fruit contains highly beneficial antioxidants that are also used as popular anti aging and beauty promoting remedies. 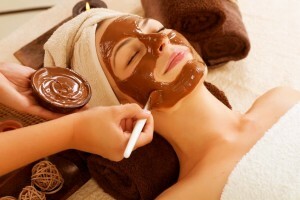 Try Our Organic Chocolate Facial during Holiday Season!!! Chocolate has several ingredients that can benefit your skin. Cocoa beans are high in antioxidant phenolic phytochemicals (polyphenols), including flavonoids, procyanidin, and resveratrol. According to the research study, they are present at such high concentrations that cocoa actually has higher antioxidant potential than other heavy weight antioxidants such as green tea or red wine. Chocolate also contains fats such as cocoa butter or shea butter. Both of these are used often as topical moisturizers and as anti-inflammatory agents. Vitamin C, also known as ascorbic acid, is essential to the production of collagen, firmness, elasticity, and skin repair functions. Vitamin C is one of the most powerful antioxidants that slows the rate of free-radical damage -that can cause skin dryness, fine lines and wrinkles, and even skin cancer. Research shows that ascorbic acid, not only neutralizes free radicals, but also reverses DNA damage. 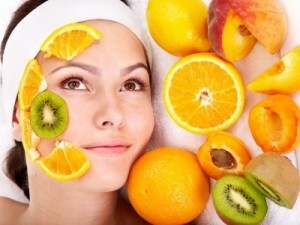 Vitamin C can visibly improve your skin, strengthen your immune system, protect against cardiovascular disease and stroke. Vitamin C is water-soluble, easily absorbed through the water in your body. Your body doesn’t store vitamin C, so you must replace your supply every day — excess amounts are flushed out through your kidneys. To ensure your diet includes plenty of vitamin C, eat citrus fruits, kiwi, berries, and vegetables such as bell peppers, cauliflower, broccoli, spinach, collard greens and tomatoes. To dramatically improve your skin, soften lines, hyper pigmentation, improve firmness, and elasticity, increase collagen production and to fight free radicals apply topical vitamin C serum directly to your skin. Feels dry and tight. Fine lines may be present around eye and lip areas. Rich, moisturizing products are recommended to reduce and prevent signs of aging. Regular exfoliation will improve the skin texture. Hydrating, stimulating, and firming Facials with the use of intensifiers and ampoules are recommended, on the regular basis (4-6weeks). It is not overly dry or oily. Usually it may be shiny around the T-Zone (chin, nose, forehead). It may also be dry around cheeks, eyes and lips. Lighter forms of moisturizing products are beneficial to maintain a proper moisture level of the skin. Hydrating and exfoliating procedures will prevent the skin from excessive moisture loss and deep pore cleansing will improve pore tightness and overall smoothness of the skin. It is shiny, pores are visible and the skin may be prone to occasional blemishes. Regular Purifying Facials to minimize pore size, deep exfoliation, and light moisturizers are recommended. There are two types of acne; adolescent and adult acne. There are products that may help one type but not the other. In adult acne it is important to combine the appropriate skin care so the drying benefits of the product do not increase the aging process at the same time. It is very important to choose the skin care wisely. In acne skin, breakouts are always present, pores are clogged, and the inflammation is very common. 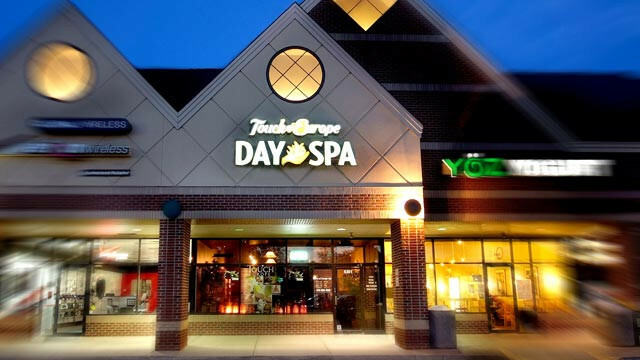 Regular exfoliation and deep pore cleansing provided during Purifying Facials are highly recommended. Inflammation and redness on the nose, cheeks, and sometimes chin and forehead. Characterized by inflamed capillaries and eventually blotchy or bumpy appearance. Rosacea is usually a genetic condition, but it can be controlled and minimized with proper skin care regiment. Please call us for a complimentary skin consultation with any additional questions.